photographed by Graham John Bell. THE CRYSTAL METHOD (Scott Kirkland) returns with a new single, “Ghost In The City.” Co-produced with electronicartist/producer Le Castle Vania, it is a narrative-driven electronic dream that floats through dark clouds and shredding guitars, while singer-songwriter Amy Kirkpatrick delivers an angelic and touching vocal performance. “It was great to have the opportunity to collaborate with Dylan (Le Castle Vania) again on two tracks from the new album,” Kirkland says. 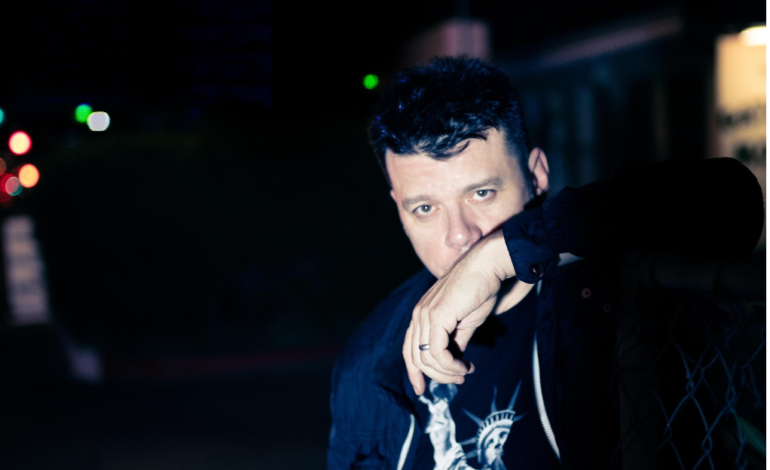 Le Castle Vania collaborated with The Crystal Method on “Storm The Castle” from TCM’s previous self-titled album and lends his talents to “The Raze” which along with “Ghost In The City” appears on THE TRIP HOME album due outSeptember 28. THE CRYSTAL METHOD have also announced new tour dates on ‘The Trip Home Tour.’ In 2019, Kirkland will bring his charismatic live DJ set to Seattle, Vancouver, Boulder, Salt Lake City and Memphis. The full routing follows below. THE CRYSTAL METHOD’s ‘The Trip Home Tour’ dates are below. Tickets are available at www.thecrystalmethod.com.